This basil is grown as much for the flowers as the leaves, maybe more so. The pretty pink flowers have a sweet basil flavor, making them a tasty addition to salads or as a garnish. The leaves have a mild basil flavor. 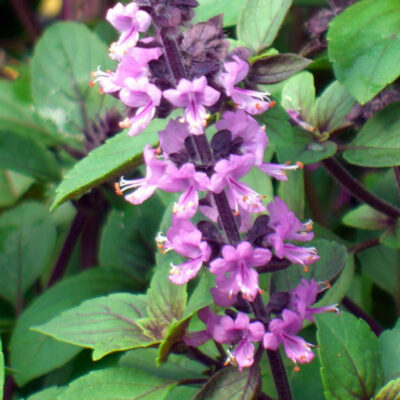 African Blue Basil also makes a showy deer-resistant annual. 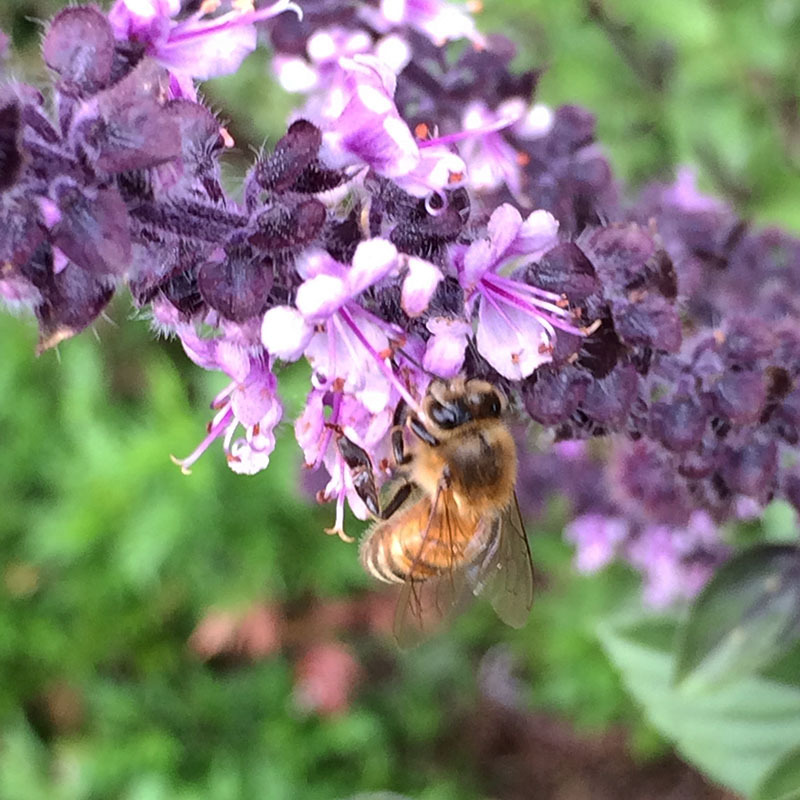 Excellent nectar source for honeybees and other beneficials. Full sun. Height and spread 3′. Cut back often when young for a bushy plant. Attractive to hummingbirds and butterflies. Annual.